123 FREE Solitaire is an exciting collection of many different Solitaire Card Games that features good layout, fast game play, rich sounds, extensive options, and good help. 123 Free Solitaire includes twelve great solitaire games: Diplomat, Flower Garden, Forty Thieves, FreeCell, Golf A-K, Klondike, Klondike by Threes, Pyramid, Spider, Spider One Suit, Spider Two Suits and Yukon. Each solitaire has more than nine trillion (9,999,999,999,999) possible games to play, so the game remains fresh no matter how many times you play. Enjoy the FREE collection of solitaire card games with new features such as: animation cards, autoplay option, sounds and more. 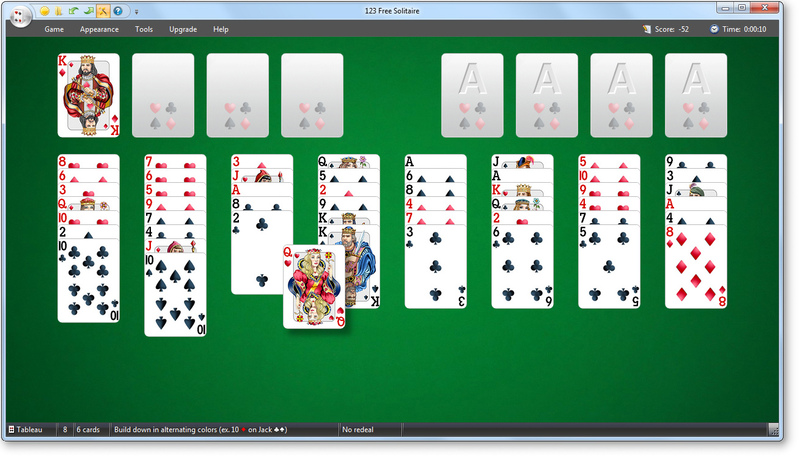 Play 123 Free Solitaire NOW and bring the excitement of solitaire card gaming right to your personal computer!